One of the problems I revisit regularly in my mind is the one of individualism versus collectivism. It has been brought back to my mind as I finally concluded reading Isaac Asimov’s Foundation series. His final two books in the series look at the idea of having individual consciousness or a more global consciousness which is inspired by the Gaia hypothesis, in which humans participate in self-regulating consciousness cooperatively with each other and all other life to create a state of perfect balance. Asimov too struggles with the loss of individuality in favor of the common good. Asimov seemed to be in favor of the latter, although I believe he tried to argue that a global consciousness doesn’t mean there is no individuality only that at times we must put that aside for the greater good. The United States is a highly individualistic nation and it’s no surprise why so many nations with throngs of people forced to conform into a faceless, impoverished mass would envy the American way of life and freedom. It occurred to me that many of the debates I seem to have about politics and ways of life are often have, at the heart, the issue of the greater good (collectivism) vs. individual freedom. I guess it seems that I also side with the collectivist philosophy, but I also recognize the value of individuality to make that collective dynamic and adaptive to a changing understanding of our universe. Whether it’s capitalism versus socialism, gun rights, globalism vs nationalism, justice and law, these debates often rest on arguments on what benefits the greater good and how much freedom we should have as individuals. There is a balance to be had, and most critically thinking people I know agree on this, even if we disagree where that balance should be. Freedom in itself is a strange concept because it doesn’t seem possible in the absolute as a social species. How free am I to make any of my decisions? I should be free to buy my own clothes, but what if those clothes are made in a sweatshop? But what if, even that meager wage allows people to live instead of starve, or at least a few more are able to break from that impoverished life. When I simply provide for my family I make a thousand decisions that can impact positively and negatively others in the world, and though it may seem like I am living a quiet life causing no harm this may not be necessarily true, even if that harm is indirect. How much does my lack of struggle in life come at the expense of someone who must struggle more? It’s easy to ignore that which is not in front of your face and that which does not feel like part of your community. Our species is a social one, and there is no getting around it. Regardless of whether we are shaped as a hunter-gatherer society or “civilization” everybody has a role and can play a part. And even if age or some accident in life, or a random birth defect we even have the ability to carry that small fragment of population along with us, and even find a way to find a use for them, even if that use is only to increase our capacity to have compassion. 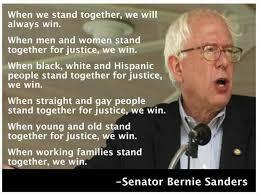 As a result whatever values we hold will shape who we are as a species. Too strong of a value on individualism over the greater good could leave us with vast degrees of inequality, decreased value on cooperation, and dysfunction in the ecosystem. Too much emphasis on the collective can lead to greater conformity, loss of diversity of thought and ideas, and thus stagnation from individual growth and growth as a society. The question becomes how can we promote individuality while at the same time convince people to work together and be in harmony with their environment? If we remove humans from the Earth we would find a very self-sustaining organism. Barring some large collision with an asteroid, life would persist until the sun went nova. However it would be a mistake to think that there was a global consciousness such as described by the Gaia hypothesis. I think it’s always a bit of a myth that other organisms live in balance with nature, whereas humans do not. 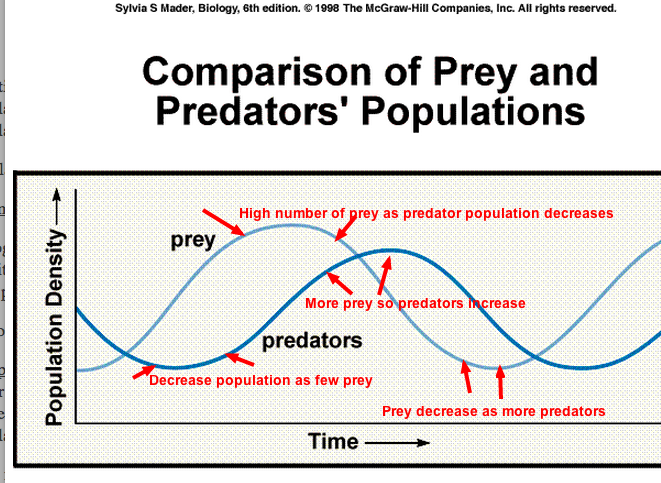 If you studied population dynamics in school you perhaps learned about cycles of rabbit and wolf populations. The wolf is not conscious of the fact that it must conserve how many rabbits it eats or that it should hold off on having babies this year because if all the wolves in an area increase in population there will suddenly be a rabbit population in starve. It thrives according to the food it can gets, and if can no longer get food, it starves, and there are less wolves, allowing the rabbit population to rebound. Rabbits that evolve better evasion skills pass on their genes, and wolves with better hunting skills pass on theirs. And the population of both rabbits and wolves oscillates about an equilibrium, an average value that both populations of rabbits and wolves do not know they are maintaining. One of the values of our intelligence should be that we can discover these equilibriums and we are best adapted at maintaining it. We always haven’t been conscious of our place in the ecosystem, but we are now, and understanding more all the time. It’s not surprising we could be so destructive, but as we learn more we also have the ability to extremely great stewards. 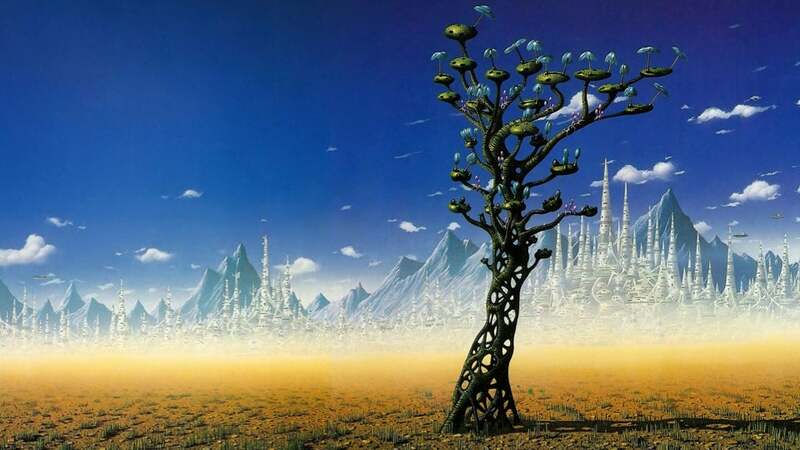 Of course Asimov’s Gaia world, just as proposed by Lovelock, is likely a pipe dream in reality, because in his idea there was a collective consciousness that made decisions only in proportion to maintaining balance. Such a reality for humans would mean that we would have all make sensible decisions about how many children to have, what to eat, and how to live peaceably in our environment. But what’s interesting to me is that we also see examples of this in our human histories. Many groups that ended up on islands learned how to conserve rather well. Spacing out how often and how many children we had, techniques at preserving and storing food, techniques for domesticating plants and animals were all attempts to have ample food supplies for harsh seasons and changes in the environment. But like any form of life, when abundance is presence, there is no thought to be conservative in terms of population. We became masters of farming and population exploded as we began to be able to seemingly provide ourselves with food at will. As it turns out we were only fooling ourselves, because our powers were still not limitless, although it made sense how it might seem so in the short term. What I do see when I look at humanity is a potential for a march towards that ideal of global consciousness. We may never truly have a global consciousness with each other and all life on the planet, but what we do have is empathy. We have the ability to be conscious of the damage we do to our environment and other life, and what the long term impacts of that damage will be. We have the ability to recognize that we might all be different pieces in a puzzle, but that we have equal value to the whole. Just like each piece has uniqueness and is still integral to the puzzle, we can maintain our individuality while also recognizing what we are all a part of. In this sense there would be no difference to an actual global consciousness and all acting in a way as if there was one. We have a long way to go, but I believe it all begins with humility and compassion, and acceptance of the idea that all humans are part of the same tribe, the same community, the same species, and that we all have value.